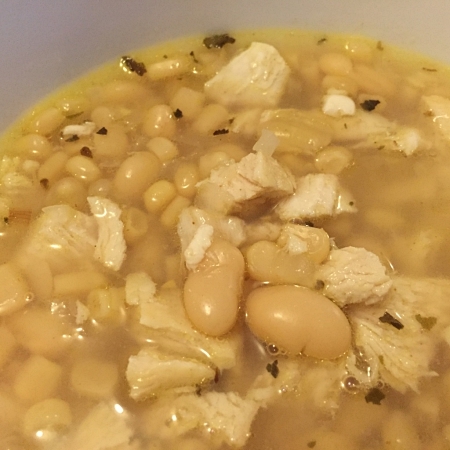 Chicken, white corn, and white beans make this a nice change from the usual chili made with ground beef! Heat oil in a soup pot over medium heat, and cook onions and garlic until onions are soft. 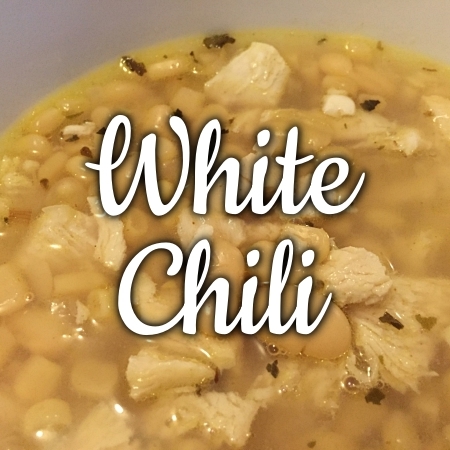 Stir in remaining ingredients except chicken. Bring to a boil. Reduce heat and simmer 20 minutes. Add (cooked) chicken, and simmer 3-4 more minutes until hot. Serve.